Carpet is the perfect combination of style, comfort, and warmth all in one product. What sets carpet apart from hardwood or vinyl besides it being softer, is that it makes a house feel like a home. At Mercer Carpet One Floor & Home in Westminster and Ellicott City, we carry a wide selection of carpets to choose from like name brands as well as Carpet One Floor & Home exclusive brands such as Tigressá or Relax, it’s… Lees. Carpet continues to be a top choice among homeowners because of its unmatched characteristics, style, and comfort. Carpet is more durable than you think, and comes in options that are stain, fade, and wear resistant. We can match you to the best carpet for your home using our unique Select-A-Floor system which matches you to a carpet that suits your lifestyle while offering our award winning warranties. Why Type of Carpet is Most Durable? When choosing a carpet, there are many factors to consider. Carpet has come a long way over the years and can be made to handle active family lifestyles and stand up to challenges such as children and pets. Characteristics such as pile styles, fibers, and the backing all play important roles in how a carpet would function in your home. There are stain resistant carpets and even water resistant carpets like Tigressá H2O™. As we mentioned before, we offer carpets that are stain, fade, and wear resistant. That means you can live your life on your carpets almost worry free. Carpet fibers play a major role in how stain resistant and durable a carpet is. We have carpets with synthetic fibers like nylon and polyester which are inherently durable and soft. We also offer natural carpet fibers such as wool. Wool features several amazing character tics like being hypoallergenic and easy to clean. Carpets are a great choice to install in bedrooms, dens, or you can even install them in living rooms as well. Carpets today are made to stay looking newer for longer, but obviously regular maintenance such as vacuuming and steaming can increase the longevity of your new carpets. When choosing a carpet, there are many factors to consider. Carpet has come a long way over the years and can be made to handle active family lifestyles and stand up to challenges such as children and pets. Characteristics such as pile styles, fibers, and the backing all play important roles in how a carpet would function in your home. There are stain resistant carpets and even water resistant carpets like Tigressa H2O. Carpet makes your home feel warmer and cozier. As your local neighborhood flooring experts, we want to make sure you find the best carpet for your home. Check out our carpet selection at our showroom in Westminster, and Ellicott City, MD and choose which carpet is right for your home! We offer name brands carpets you love in addition to our exclusive brands including Lees, Tigressá, and Innovia. Weather you have children or pets, or even both, it is important to know what kind of carpet you need in your home. Here are some tips about how to choose the best carpet for your home. Characteristics like pile style and fiber type can vary, follow the link below to learn even more about the different types of carpet available. 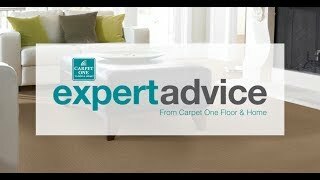 Get the top tips to keep your carpet looking and feeling brands new. Get inspired with out carpet trends from our flooring experts.